Product Name: BELOTERO INTENSE w/ Lidocaine. 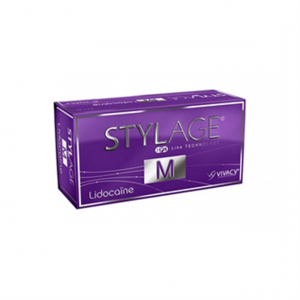 Active Composition: Non-animal origin Cross-linked Sodium Hyaluronate 25.5 mg; Lidocainhydrochlorid 3 mg.
Volume & Packaging: 1 ml of gel in 1 syringe. Two tractability labels (one to be given to the patient, and one to be kept by the doctor in the patient’s file). Storage Conditions and Temperature: Store in a cool and dry place at temperature between 2 – 25oC. BELOTERO INTENSE w/ Lidocaine is perfectly designed in such a way that it constructs a non-permanent, sterile, not hazardous, non-animal and intoxicated gel. The gel is made by the combination of Cross-linked Sodium Hyaluronate in a Phosphate buffer. This design increases the degradation of hyaluronic acid in human skin which makes the even desorption of acid into the skin. 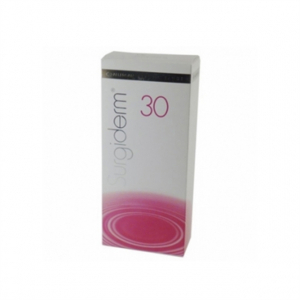 Inject-able volume filler solely makes the dermal tissues uplifted and inclines skin elastic characteristic by proper distribution and degradation of hyaluronic acid. However, the lidocaine associated with Belotero® Intense suppresses the pain a patient is going to feel during or after the surgery, making the surgery pain free. the needles contained inside the box shall be injected inside the dermis of skin using any techniques such as Antero tracing technique, the liner retrotracing technique, fan distribution technique or cross-hatching technique. BELOTERO® INTENSE with Lidocaine; soft tissue filler, for the correction of deep facial wrinkles, can easily be purchased through our online shop; Meso.pro. You can contact our customer care agent to get the fastest delivery at your office or clinic. BELOTERO INTENSE with Lidocaine contains 25.5mg/ml of NaHA is a hyaluronic acid-based dermal filler. A patented dynamic reticulation process is used to produce these products; containing non-animal sourced hyaluronic acid so that it may not cause any allergy or side effect. They are specially designed with CPM technology (Cohesive Polydensified Matrix) to give the gel elastic properties and make it smooth soft tissue filler to be used for the treatment of patient’s deep facial wrinkles and loose-fitting skin. The patients having deep facial folds and fine lines or wrinkles can get their skin perfectly fixed with this skin care treatment. This treatment is going to satisfy all desires of correcting skin with severe facial folds. It also helps to get a young refreshing look. BELOTERO INTENSE with Lidocaine is injected into the deep dermis of skin with a needle of 27G. As soon as the serum is injected into deep facial wrinkles, it immediately starts showing its results and gives skin a fine looking young and fresh skin. The needles play a pivotal role in filling deep skin layers with hyaluronic acid due to its unique formation, particularly for removing facial wrinkles. BELOTERO® INTENSE with Lidocaine injections is used for treating facial folds. Its results last up to a year depending on the severity of the folds. People having extremely loose and saggy skin with deep facial wrinkles shall Use it once after every 6- 8 months. However, the duration may vary with respect to patients’ history and records. BELOTERO® INTENSE with Lidocaine shall be purchased by a doctor, medical specialist, dermatologist or working in any hospital or clinic. This product is made effective for the use of any matter of facial wrinkles, fading your deep lines instantly without appearing or leaving any permanent side effects. Get yourself BELOTERO® INTENSE with Lidocaine at wholesale rates from our internet site, Meso Pro with fastest and most reliable services. Note: Product details on BELOTERO® HYDRO do not cover all aspects of this product. *Meso Pro offers only genuine BELOTERO® INTENSE with Lidocaine that is manufactured by Merz Aesthetics™ of Germany. All brands listed here including BELOTERO® is the trademarks of their respective owners. Meso Pro is not operated by supported by or affiliated with Merz.